The medium responder bag, with 2 large end pockets, an opening front flap with a reflective stripe, and an embroidered star of life on the top flap. The front flap opens to reveal 2 large storage pockets, and an assortment of 17 elasticated loops for organising and storing your equipment. A good sized main body lets you carry all you need for an effective response bag. The top flap also has a zipped mesh pocket. 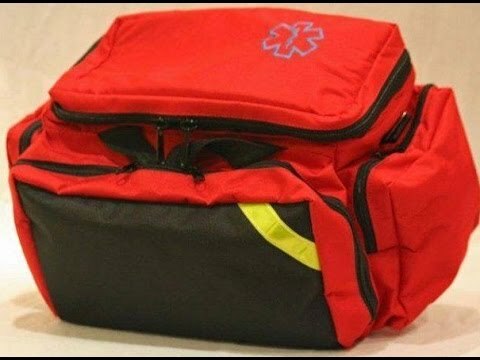 This bag is a perfect size for EMT’s to use as a response bag. - Comes with shoulder carry strap.